The idea of flavouring a ryzogalo (Greek rice pudding) with lemon and krokos Kozanis (saffron) sounded perfect in my mind, so I made a twist to the classic rice pudding by adding these two flavours. The history of Greek red saffron or Krokos Kozanis (Crocus Sativus Linneaus plant) dates back to prehistoric Greece. In modern Greece, it starts again in the 17th century when traders from Kozani, Macedonia, bring the red saffron back from Austria. For 300 years, Greek red saffron is systematically cultivated under the warmth of the Greek sun, in the rich soil of a unique area in Kozani, in western Macedonia and is considered to be one of supreme qualities, worldwide. As a medicinal and dyeing substance it has been known in ancient Greece for its aroma, vibrant colour and aphrodisiac properties, thus making it one of the most desired and expensive spices. Another use in ancient Greece was that of perfumery also using it to perfume the water while bathing. Frescoes in the palaces of Knossos (1.600 b.C.) clearly depict a young girl gathering crocus flowers as well as in the archaelogical site of Akrotiri, in Santorini and Homer, in his writings calls dawn “a crocus veil”. Crocus was a dear friend of Greek god Hermes ( in Ancient Greece. One day, while the two friends were throwing the disc to each other, Hermes hit Crocus on the head and wounded him fatally. As the young man collapsed and was dieing three drops from his blood fell on the centre of a flower thus becoming the three stigmata (plural of the word stigma) of the flower named after him. Etymologically, the word crocus has its origin from the Greek work “kroki = κρόκη“ which means weft, the thread used for weaving on a loom. Crocus is a grassy plant reproduced with bulbs.Each flower has three stigmata of saffron, also called filaments, which are joined by the style. Is it cultivated in Greece? In Greece it is cultivated exclusively in Kozani region. Collecting crocus is not an easy job. The workers, bent for hours over the plants, collect and place the flowers in their cloth aprons and then transfer them into baskets.A skilled worker can collect 30,000 flowers in a single day. It takes 150.000 flowers to deliver 1 kilogram of dried crocus stigmata, thus making it the most expensive spice in the world. The stigmata are extracted by hand from the freshly harvested flowers and then laid out to dry. Once dried, they are irregular, deep orange threads. Collecting, sorting and processing are done without any help from technology. Crocus was considered a rare pharmaceutical plant of ancient Greece with unique properties. It is referred to throughout ancient history and in the course of many medical writings of the classical Greek and Roman times all the way to the Middle Ages. Hippocrates and other Greek contemporary doctors, like Dioskourides and Galinos mention crocus as a drug or a therapeutical herb. It was considered as a painkiller, antipyretic, heeling wounds, hypnotic (remedy of sleeplessness), good for the stomach etc. In modern medicine, the healing properties of the plant have been widely known. Crocus is considered a most interesting pharmaceutical plant. Its profound antioxidant properties are long proven. Krokos prevents platelet aggregation, it is highly antiflamatory and improves cerebral function and it is still under research for its cancer preventive properties. Other properties of crocus are for lowering cholesterol, indigestion, nausea and soothing infant teething. Greek red saffron is considered to be the King of Spices. Its excellent quality places it in the top quality saffron in the world. A small quantity adds an exquisite flavour, colour and aroma in all your dishes. Krokos Kozanis is perfectly pure and combined with coffee or tea forms an excellent beverage. I had already used half of the lemon curd I made, so I needed to use the other half. The idea of flavouring a rice pudding with lemon and saffron sounded perfect in my mind. I made a twist to the classic rice pudding by combininf these two flavours together and the result was outstanding! The saffron added a lovely flavour, aroma and colour to the pudding whilst the taste of lemon curd made the rice pudding taste more creamy because of the eggs and butter. The idea of flavouring a rice pudding with lemon and saffron sounded perfect in my mind, so I made a twist to the classic rice pudding by adding these two flavours. ½ tsp butter for greasing the dish. Preheat the oven to 180ο C.
Grease a 20 cm or one litre ovenproof Pyrex dish with butter. Mix the rice, sugar, milk, lemon curd and saffron in a bowl and empty the mixture to the greased, ovenproof dish. Place the ovenproof dish in the centre of the oven. Stir the rice pudding mixture after 30 minutes and one more time after another 30 minutes. You may also want to turn the dish around, back to front, in the oven so that it cooks evenly. Bake until the surface of the pudding is a nice golden brown and the pudding has set. so wonderful and instructive post!you remind me about childhood and the cookies of my grandma,without eggs,but yellow -with saffron!i think your pudding is delicious! Lemon and saffron tasting rice pudding, wow! Delightful and so refined! A great post, Ivy! I’m relieved that I can buy Krokus Kozanis here in Toronto. I’m a fan of this ingredient and just look at the colour of your ryzogalo! I always knew there was a lot of work involved in collecting the Krokus but I had no idea that it took about 150,000 flowers to deliver 1 kilo!!! No wonder it costs a fortune! Love the rice pudding with the lemon Ivy! Nice touch! Here’s another ingredient I had never heard of before. Thanks for the background on it. I love saffron and the idea of a Greek saffron makes me feel warm and fuzzy inside, lol. I’ll have to see if that Mediterranean store in town carries it. I love the rice pudding you prepared with it. How wonderful – I had no idea where saffron came from. Love the Greek mythology behind the crocus. I still have some of the lovely red saffron that you sent me. Wow, what a beatiful rice pudding. I have never used saffron before but the idea of mixing lemon curd in the pudding sounds genius. This was fascinating, Ivy, and both the recipe and your gorgeous photos look divine. Wow. I love your introductory posts about Greece and food. I’ve always heard and seen saffron, but never used it. And NOW I know there’s a red variety… too cool. Very informative post and the rice pudding with saffron sounds heavenly! The crocus flowers are gorgeous! I bet the saffron is just delicious in this rice pudding! Loved learning all about it! I love saffron. I didn’t know it was produced in Greece. Your rice pudding is very inviting. I had no idea what saffron plants looked like – so pretty! I still have never had saffron! This looks delicious! Ivy your saffron rice pudding looks so pretty with that natural golden bright yellow colour. What a fantastic recipe, this is something I know I would enjoy. Beautiful pictures of the saffron flowers. Wow such lovely bright colourful for your rice pudding. 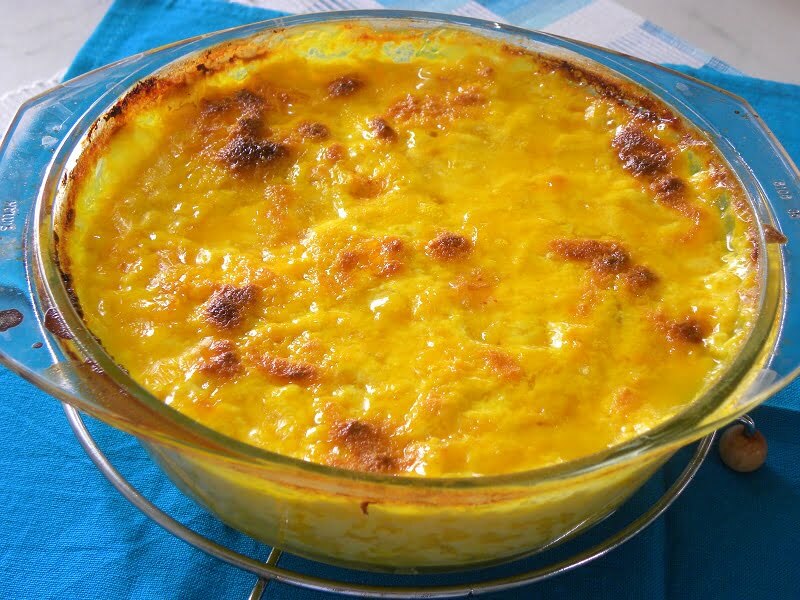 I love saffron and also rice pudding but never dreamed to combine the two …def something to try! Also you added lemon curd, another interesting touch! I never knew saffron is also grown in Greece … but afterall it is not surprising so many wonderful foods come Greece! The pix of the saffron are really surreal Ivy as well! Ivy mon amie, le riz au lait est mon dessert préféré. Mais alors, avec du safran et du citron, il doit être divin. Enjoyed reading the post, Ivy. In India, saffron is grown only in the Kashmir valley. Saffron is widely used in Indian cooking like Biriyani, Pulao, Kheer etc. Rice pudding with lemon curd and saffron might have tasted heavenly! This sounds delicious, and I love the texture of the pudding! Your blog is fantastic! I love to learn about other cultures and cuisines! Great job. The picture of the flowers looks surreal. Beautiful write up and information and what a gorgeous color that pudding has! We love Kozani saffron! My husband is from Kozani & last spring I took pictures of crocus growing freely at a picnic site. I felt horrible because we were walking on the flowers, they were everywhere. We always give the Kozani saffron as a gift to my friends and neighbors in the U.S. and it’s greatly appreciated. I love how you used it in the pudding. I would have never thought of that! Fantastic article! The history part is detailed and excellent. Thanks for featuring my photo, too! Sakis, I am the one that must thank you for the great photo. Thanks again.